I love Christmas chains, so I don't know why I never thought of making chains for other holidays. This one is actually made of ribbon, which makes for an extra-special feel; since Easter is so close and my ambition is so low, we'll probably make our chain out of pretty spring papers. 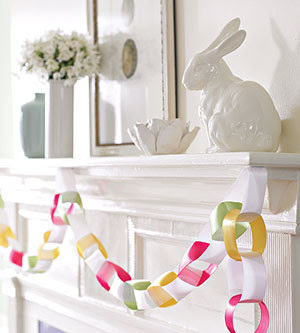 Find the full instructions for the Ribbon Chain at FamilyCircle.com.